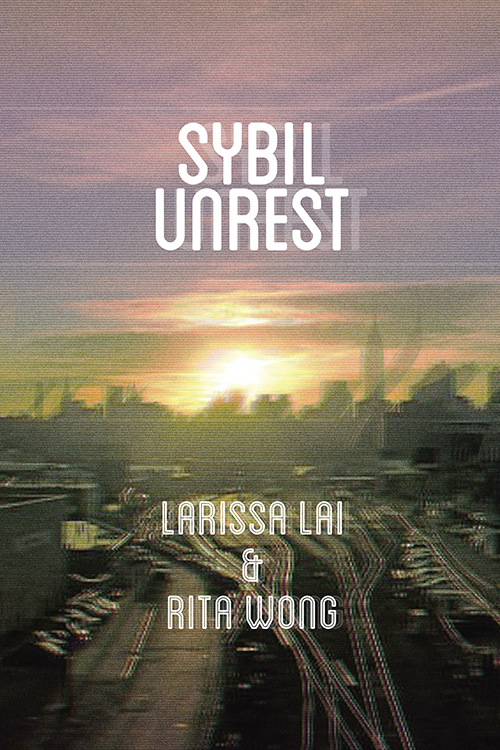 Sybil Unrest is a collaborative long poem begun in Hong Kong at the moment of the SARS outbreak in 2003, and the American invasions of Iraq. It was written as a punning conversation via email over the course of several years. With an ear to the noise of CNN, the BBC World Service, the US State Department, advertising and JackFM, Lai and Wong re-figure the sights, sounds and texts of contemporary culture seeking hope and connection while tripping over the barbed wire of banality. Sometimes bravely and sometimes stupidly, though always with a sense of humour, they hurl themselves through the crosshairs of war and capital, trying to recover the recoverable and reinvent the rest. Searing and critical... [sybil unrest]... collects Hollywood and pop culture, blends it with nursery rhymes, clichéd phrases of the English language, famous tales, historical events, all the while exposing the elusive ground between/of denotation and connotation. This puts into crisis the very sounds, stories and ideas that allow us to secure identification within the world-it is a new historiography which changes our relationship with history, and our relationship to the construction of ourselves.